Surprisingly, plastic surgery in Germany is a taboo. Physicians strive to achieve a natural, un-operated look for their patients. Can you tell us what is it like practicing cosmetic surgery in Germany? In Germany, cosmetic surgery is not highly accepted – unlike in Brazil for example. Most patients –at least in my practice - are female and they are not very open to talk about that topic with their friends and family. They mainly gather their information on the internet and we are all aware that not every written word is true and that one should hardly trust all of those reports, forums or blogs. Therefore, you have to be very discreet as a doctor and you really have to thoroughly inform and educate your potential patients. Only if you are consistently showing excellent results and offer highly qualified services you are able to build up a pool of loyal patients who will refer you to their best friends. At this level you can create a solid patient base, but it will take you quite a while. Cosmetic surgery patients in Germany are very much afraid of what they see in magazines and on tv – celebrities with unnatural looking faces or breasts. So it is my assignment to convince those patients that these looks are avoidable and once they will trust you and your skills, German people can be very decisive for ‘getting it all done’. How is your clinic organized? I am the sole owner of my private practice for plastic and aesthetic surgery- the “H-Practice” - in the center of one of the biggest cities in Germany, Cologne. My clientele is 90 % aesthetic. All pre and post operative consultations and procedures take place in my office where I also do all minimal-invasive treatments like Botox, fillers and medical needling. For my surgical cases I am an attending doctor in a nearby hospital where I can offer the highest level of safety to my patients. In this hospital I can also perform on my specialist field in doing microsurgical breast reconstructions for breast cancer patients on a regular basis. Associated to the “H-Practice” we also run an institute for medical facials and peelings which is called “H-Beauty” Within this medical spa, we are the only German providers of the US-skin care brand ‘Jan Marini Skin Research’. Your website is promoting the fact that you're a female plastic surgeon. Do you feel that being female gives you any advantages in appealing to potential patients? Being a female plastic surgeon is a real USP (unique selling proposition). In Cologne, there are only two more female plastic surgeons with a private practice – all others are male. Since my clientele is 95 % female at the moment, I can definitely say that they feel more comfortable in female company and speak boldly about all their beauty problems and esthetic issues. Especially patients who are dissatisfied with their breasts tell me that they prefer to have a consultation with a woman. Where do you think that advancements in cosmetic surgery will come from in the next ten years? In Germany we see a huge competition on the aesthetic market especially from non plastic surgeons and non-physicians.There are such a lot of discount voucher offers (Groupon) for Botox treatments, fillers, laser treatments and even operations, which I find highly inappropriate, dubious and even dangerous. I do not market myself with any discounts. We have established a very well working internal marketing in my practice with a clear CI and I have very well trained staff. Especially my practice manager does an excellent job. Furthermore, we are constantly working on our external marketing which is mainly digital. The only paper advertisement I do is a local lifestyle magazine which is very popular among my target patients group in Cologne. In the next ten years I envision an outstanding growth of patients in the German market. Esthetic surgery and especially the minimal invasive prodecures will definitly boost up to a level where patients will feel very natural doing regular treatments to preserve their juvenile complexion. You offer treatment with autologous fat transfer. Where have you seen the most success with this treatment and what have you learned about getting the most benefit from this? In my practice I use different materials for facial rejuvenation, i.e. fillers and Botox® and they all have their special indication or relevance. The optimum results for a ‘good looking’ can only be archieved when every procedure is technically executed at its best. When it comes to fat grafting it is important to understand that facial aging is happening in a variety of small facial areas rather than in one global area. I always try to develop a complete treatment plan for my patients, which is not that easy in Germany since the patients are mostly afraid to look “entirely different” after a procedure. Their sincere wish is to look “better than before” and it is my intention to educate them about facial aging in general and their own facial realities in particular. In my opinion, the worst thing you can do as a plastic surgeon is to treat only one isolated area of the face and – even worse – overfill it with fat. This will end up in a very unnatural result. We can all see bad examples in the media and they influence German people very much. Most of them think, after fat grafting (or also Botox®/fillers) you will automatically look overdone and strange. Technically spoken it is crucial to replace only micro-droplets of fat and use appropriate cannulas to achieve smooth results. You're also offering Derma-rolling. Do you like it? What results are you seeing? How do you think that Derma-rolling compares with technologies like fractional laser ablation? I started with medical needling procedures two years ago; as an in-office treatment I mainly use rollers with needles of 1.5 mm in length. Since this procedure uses the skins natural wound healing process to stimulate collagen and elastin production with almost no side effects, I consider it a very effective weapon in a rejuvenation plan a number of conditions and body locations: lax skin or wrinkles on the face, upper lip lines, neck, décolleté, hands, arms, abdomen, buttocks and legs. It is also used to treat shallow acne scars and stretch marks. The results that we are seeing are very convincing. I seldom perform surgical needling with needles of 3.0 mm length which is appropriate for deeper or burn scars and should be performed in an OR under full anesthesia. Studies showed that you can create a substantial deep skin regeneration with medical needling and not a degeneration like with laser treatments. That is why I prefer derma-rolling. There are a lot of physicians who are not plastic surgeons or dermatologists who are moving in to cosmetic medicine through technology. Are you seeing this in Germany? What do you think of this trend? I think patients tend to overestimate a certain product or technique and underestimate the importance and skills of the person who is applying it. In my opinion this is a dangerous trend for the patients. We are more and more seeing disastrous results after rejuvenation procedures, performed by non specialized physicians, that are afterwards very difficult to reconstruct for us as plastic surgeon. Currently, I find it most challenging to deal with the constantly growing demands of the digital world especially when it comes to internet search engines, i.e. Google. You are needing professional help on one hand to support you but you also have to be “up to speed” yourself, otherwise you’ll loose an important target group. We are constantly working on our website and online presence, providing blogs for the practice and the institute, integrating Facebook, Twitter and other Social media actively in our daily business routine. I cherish the vision to create and establish a Medical Spa facility. All my patients will find the overall medical and cosmetical attendance they need to “feel and be beautiful” under one umbrella. 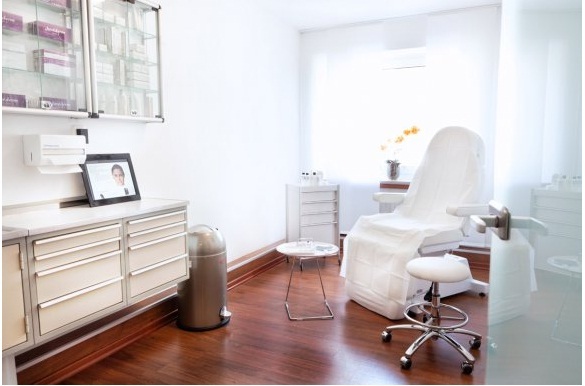 We will offer full aesthetic packages within my specialized team from facials to facial surgery, from massages to liposuction, from manicure to hand rejuvenation – which will obviate my patients the need to go elsewhere. What's the best advice you've ever received as a physician and as a business person? Keep calm, stay focused and carry on! 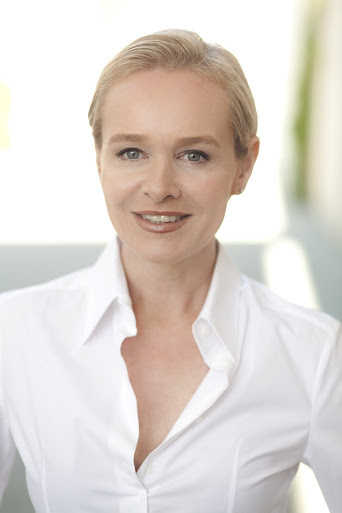 About: Dr. Simone Hellmann is a German board-certified general surgeon, a German board certified Plastic and Aesthetic Surgeon and also a fellow of the European Board of Plastic, Reconstructive and Aesthetic surgery. She leads the Plastic Surgery in the private “H-Practice” in Cologne, Germany. Dr. Hellmann graduated from the Medical University of Hannover, Germany, where she also received her M.D. Her medical education also took place in Biel, Switzerland and she passed the ECFMG exam for the USA. She first spent her residency in general surgery in Hannover and graduated extra-occupational as hospital management advisor. After the board certification in general surgery she decided to go into the field of plastic surgery. Her training in reconstructive-, hand- and burn surgery took place at the University Hospital Cologne Merheim, Germany. Then she was working as a consultant in the Sana Clinic Duesseldorf, Germany, with specialization in microsurgical breast reconstruction (DIEP-flaps) and in the Dreifaltigkeitskrankenhaus Wesseling with focus on aesthetic surgery. Several fellowships in advanced Aesthetic Plastic Surgery have brought her along with leading Plastic surgeons in Cape Town, the USA and all over Europe. Dr. Hellmann is a well renowned speaker on national and international meetings. Dr. Simone Hellmann is an active member of the Society of Plastic Surgeons of Germany (DGPRAEC), ISAPS (International Society of Aesthetic Plastic Surgery), IPRAS (International Society of Plastic Reconstructive and Aesthetic Surgeons), DGS (German Society for Senology), Interplast (German Society for Plastic Surgery in underdeveloped countries) and DGBT (German Society for Aesthetic Botulinum Toxin Therapy). In her recreation time, Dr. Hellmann enjoys travelling with her husband especially to Cape Town and the US and she loves to practice Hatha-Yoga.